You are buying VetriScience Vetri Disc Capsules For Dogs 180ct, model #0900580180 at ADW Diabetes, we offer a wide range of pet dietary supplements geared towards helping your pet achieve optimum health. We offer these supplements in both single and discounted bulk packs with the goal of helping you save even more. Shop with ADW Diabetes for all of your pet health supplement needs. 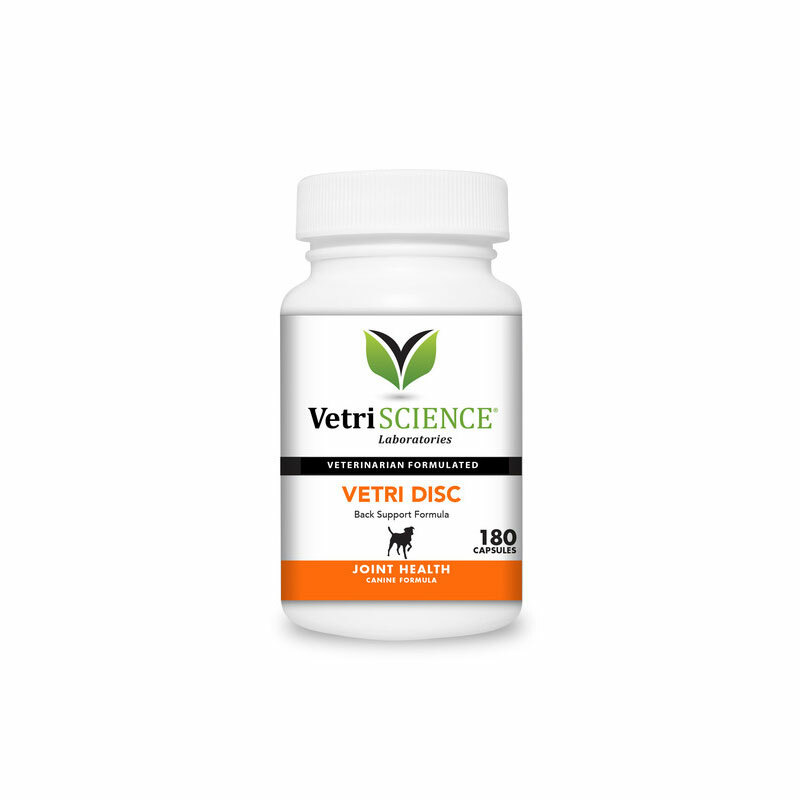 The VetriScience Vetri Disc Capsules For Dogs 180ct combines bovine tracheal cartilage with amino acids, mineral sulfates, vitamins, pepsin, and natural silicon sources - all necessary for the support and maintenance of connective tissue. Bovine tracheal cartilage is a rich source of chondroitin sulfates which make up the connective tissue matrix and are found in an especially high concentration in the spinal and invertebrate disc tissues. Other ingredients like taurine and equisetum arvense are necessary for the synthesis of connective tissue, while minerals like calcium and magnesium support bone growth and maintenance. Zinc is necessary for tissue respiration and is also important in the body’s healing process. Amino acids such as serine link the glycosaminoglycan structure to connective tissue proteins, and vitamins C and D support collagen production and calcium absorption, respectively.